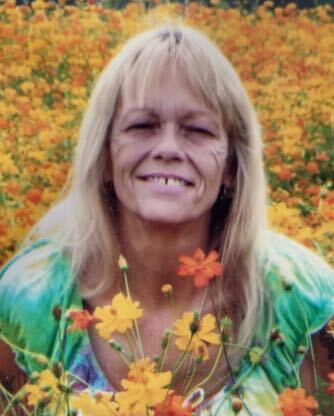 Bonnie Lee Hooper, 59, of Manns Harbor, passed away on Saturday morning, March 16, 2019 at home with her devoted husband and baby sister by her side. Born on February 28, 1960 to the late Alma Gard Hooper and the late Horace Lee Hooper, Bonnie grew up on Roanoke Island with many close friends and a large extended family, riding horses and swimming in the sound. She graduated from Manteo High School in 1978 and spent the next several years living in Colorado. When she returned home, she was the smiling face at the Hardee’s breakfast counter until they closed for good. She then worked for the Dare County Sheriff’s Department as a dedicated corrections officer until she retired. Bonnie was an active member of Source Church and loved helping with the food pantry. She loved butterflies and plants and spent many hours outside, working in her yard. Left to cherish her loving memory is her husband, David Padgett of Manns Harbor; brother, Jimmy Beals of Sycamore, GA; sisters, Connie Miss of Douglas, GA, and Merry Ann Liverman of Colington, NC; nieces and nephews, Aleesha King, Brandi Miss, Benjamin Miss, Timothy Miss, Melissa Miss, Josh Liverman, Lea Liverman and Hunter Liverman; great niece, Kalie Selby; her beloved poodle, Cody, and lifelong friend Mary Beth Dinger (Steve) of Englewood, Florida. A Celebration of Life is being planned for May 11, 2019 at Source Church in Manteo. Time to be determined. Condolences to the family may be expressed via the online register at www.gallopfuneralservices.com. Gallop Funeral Services, Inc. was entrusted with arrangements.